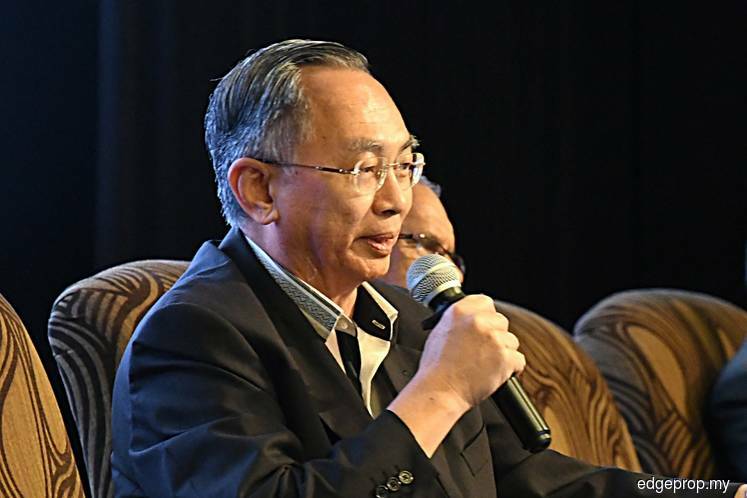 KUALA LUMPUR (Sept 16): Burgess Rawson Malaysia managing director Wong Kok Soo has urged owners and tenants of stratified development not to take the strata by-laws lightly as they may be breaking the law by doing so. “Under the Strata Management Act 2013 (SMA), those caught breaking strata by-laws will be fined and maybe be brought to the Tribunal,” said Wong in a public forum titled “Strata Living in Harmony” organised by the Malaysian Institute of Professional Property Managers (MIPPM) here this morning. The additional by-laws of the management body and the statutory by-laws in the Third Schedule of SMA govern how a stratified building is occupied and used. The additional by-laws were previously known as house rules under the repealed Building and Common Property Act 2007. He said to protect themselves, the management body should first pass a special resolution in a general meeting to adopt the additional by-laws, make sure every owner or tenant has a copy of such additional by-laws and also the statutory by-laws in the Third Schedule of SMA, and talk to them to ensure they understand these by-laws. “If the problem remains, you can impose a fine and for serious cases, you can bring them to Tribunal under the Act,” said Wong in response to a question from the public. Unlike other ordinary public forums, MIPPM had sought questions from the public for a month until the end of August, receiving over 80 questions during the period. Besides the topic of tenants, Wong also discussed issues such as annual general meetings, inter-floor leakages and the maintenance charges for different components in a mixed-use development. “Inter-floor leakage is very common. In the past before the SMA came into force, there had been no solution, but now, there is a full set of regulations dedicated to this issue,” Wong noted. He summarised that residents can lodge complaints to the management body when they discover inter-floor leakage problems; under the law, the management body has to carry out an inspection within seven days to find out what is the cause and who is responsible to fix the leak. “The management body then has to issue form 28 — the certificate of inspection to the party who should be responsible for the problem. The property owner has to solve the problem within seven days after receiving form 28. If he or she refuses, the management body can bring this issue to Tribunal, even court. So this is a serious issue,” he said. Wong also shared an alternative way for joint management body (JMB) to impose different rates of Charges for different components in a mixed-use development. “There is no issue for management corporation (MC) because they are allowed to impose different rates of Charges for different components but the JMB can only impose uniform rate of Charges which is not fair to the JMB of a mixed-use stratified development. What the JMB will usually do is to pass ordinary resolution in a general meeting to adopt different rates of Charges but this is indirectly against the SMA,” he shared. While the SMA is being amended to provide JMB the same provision as MC to impose different rates of Charges, Wong suggests that, in the meantime, the JMB passes a special resolution in a general meeting to adopt additional by-law to grant to each component the exclusive use of the parts of the common property within the component so that the component will bear the maintenance cost of its own “exclusive common property”. He added that the maintenance cost of the remaining shared common property can then be apportioned to all the components. This will then give a fair and reasonable rate of Charges for each component. Meanwhile, MIPPM president Sarkunan Subramaniam said in his earlier welcoming speech that despite the introduction of the SMA 2013, there is still much uncertainty and confusion as the comprehensive Act is new. "There are some black sheep among management bodies and property managers who run the JMB like their little country. This is the reason why MIPPM has been running seminars to educate property managers, management bodies and public on strata law, regulations, procedures and what is their right," he added.